City leaders say there have been "bugs" in the streetcar system that they are determined to fix. Representatives of Metro and the city say they're still tweaking the Cincinnati Bell Connector system. A council committee today heard complaints that include the ticketing system, the real-time displays, stoplight timing, and frequency. Assistant city manager John Juech says bugs are inevitable with the launch of a new streetcar system. "We're trying to hear the feedback and make it simpler and more intuitive. We appreciate all the work that's gone into this, but we are looking to make some changes sooner rather than later." There have been complaints the Cincinnati Bell Connector ticket vending machines don't always work. Kim Green with the manufacturer says four machines, all in Over-the-Rhine, don't accept credit or debit cards. "The issue that we're experiencing here, the biggest issue we're experiencing is the fact that we've got a new credit card reader as a subset of that machine. All the other machines that we have in the field had an earlier version of the credit card reader." Green says Cincinnati's vending machines came into use just after the chip and pin system was mandated. Green says the ticket vending machines are being updated and should all be working by the end of the week. In the meantime, Metro is recommending using cash, or downloading the smartphone ticketing app. 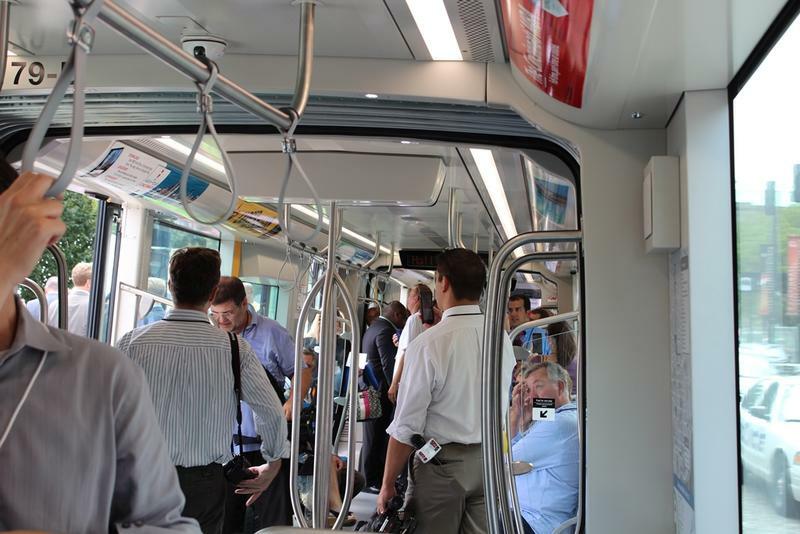 The streetcar gave another 18,000 rides from Friday to Sunday. That compares with about 11,000 from last Monday through Thursday and 29,000 the previous weekend. Assistant city manager Juech says the current streetcar plan has more cars running on weekdays than on weekends. "Have the two weekends so far been unique? Yes. We had Oktoberfest. We had the Bengals' opener. We've had the (Susan B.) Komen race, the Midpoint Music festival. He added, "But I think our emerging sense is that weekends are likely to be more busy than weekdays." 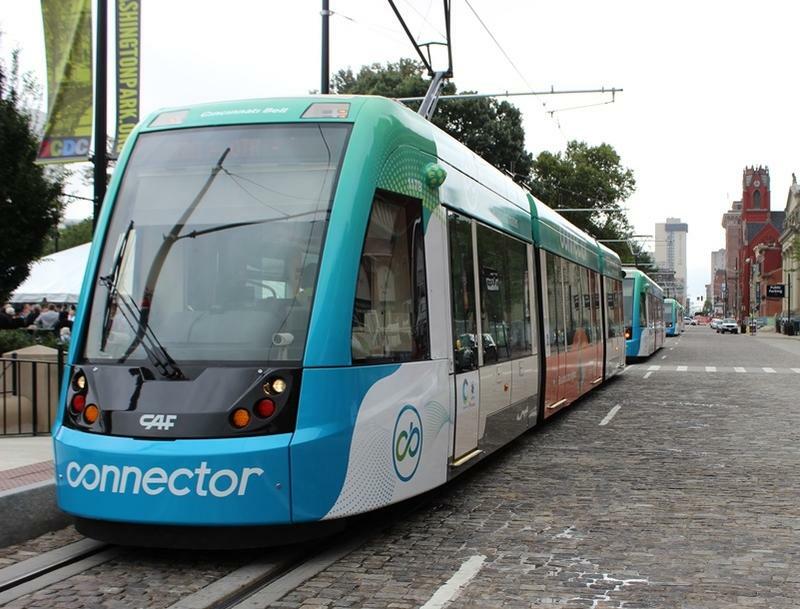 Juech told the council committee it's still early in the streetcar operation to be drawing conclusions but council members should be aware that changes to the service plan may be necessary. The Cincinnati Bell Connector has given more than 100,000 rides since it started passenger service two weeks ago. Everyone seems to agree that two will not be enough, and four should be on the tracks. But Assistant City Manager John Juech said there is a disagreement between the city and Southwest Ohio Regional Transit Authority, which is running the system under a contract with Cincinnati. 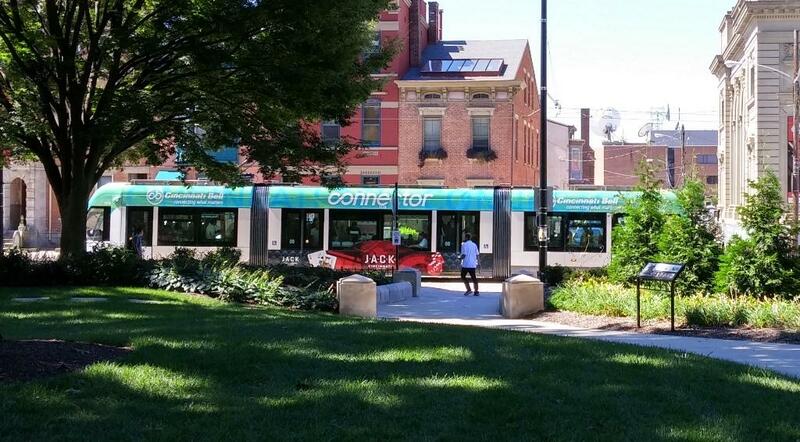 Cincinnati's streetcar is officially up and running. In a flurry of confetti Friday morning in front of Music Hall, officials declared the Cincinnati Bell Connector open for business.